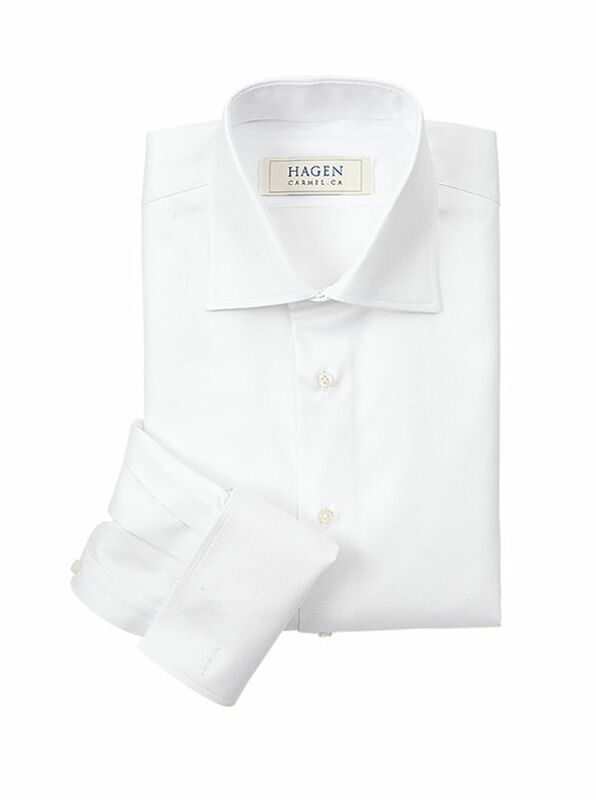 Dobby Formal Shirt by Hagen, tailored of 100% cotton woven in Italy with a fine pique pattern. With semi-spread collar, removable button strip, French cuffs. Imported.